I’ve been to New Orleans half a dozen times: with family, with friends; to come to Jazz Fest, to build after Katrina. I appreciate New Orleans. I value it. Which is not to say it suits me all that well. I’m a New Englander, by choice and disposition. I am prudent and sensible, perhaps to a fault. I’m preoccupied with time, space and schedule. My wild fantasies are just that, fantasies; I have no need to act them out. 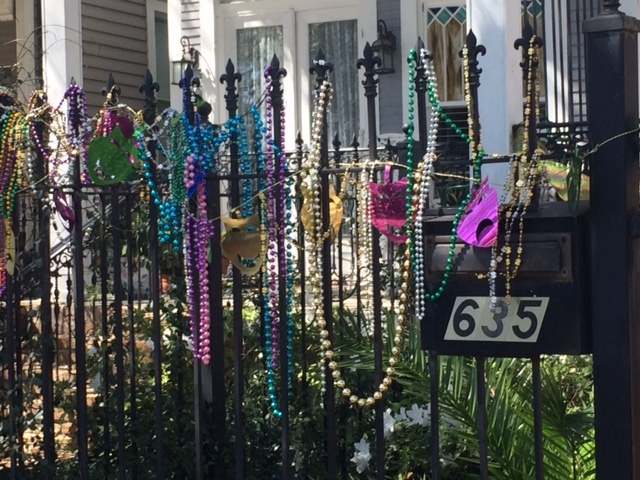 New Orleans is a healthy anecdote for me: spontaneous, impulsive, unstructured and unscheduled. The afternoon I arrived in NOLA I had more ‘potential’ meetings and places to stay than anyplace I’ve visited on my tip. Yet, nothing was firm. I took a Big Easy breath and let it all unfold in a rich, chaotic New Orleans way. I visited Musician’s Village and stayed at Buskers Bunkhouse on Friday. This morning I rose at dawn and made me way to New Orleans East to visit a Habitat for Humanity build site. 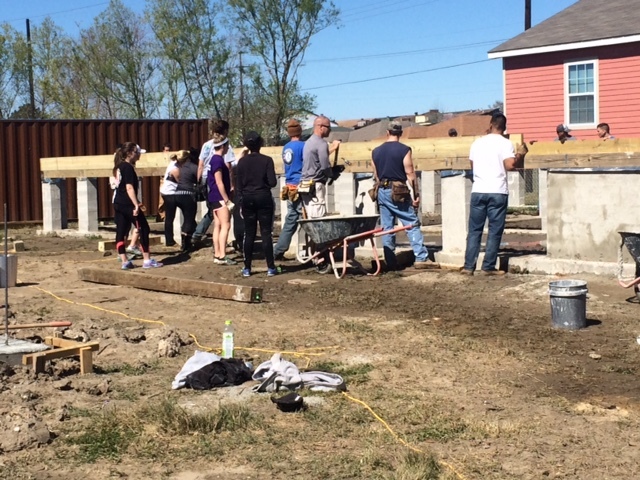 NOLA has one of the largest and most successful HFH operations in the country. Then I pedaled clear across town to Carrollton to meet a pair of NOLA natives whose fathers’ were musician and musicologist involved in establishing Preservation Hall. Back in Mid City I met with a geotechnical consultant expert in the unique combination of rising tides and subsiding earth that makes Louisiana give up so much land the sea – second only to Bangladesh in coastal land loss. Finally, after an odd string of texts, I arrived at Gina and Phyllis’. Gina invited me to stay but said they were going out. As a rule, I do not stay in houses where I haven’t met my hosts, so I suggested we get together late afternoon. She thought I was interviewing her to see if I wanted to stay, which must have made me seem like a prick. (She didn’t know I just came off a night at Busker’s Bunkhouse, not a place for the fussy.) No matter. 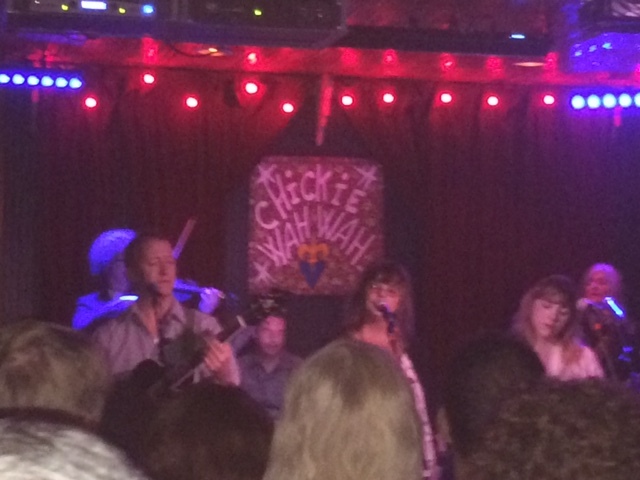 We clicked when we met and they invited me to join their female friends to hear Susan Cowsill, longtime NOLA resident of Cowsill fame, channel Karen Carpenter. 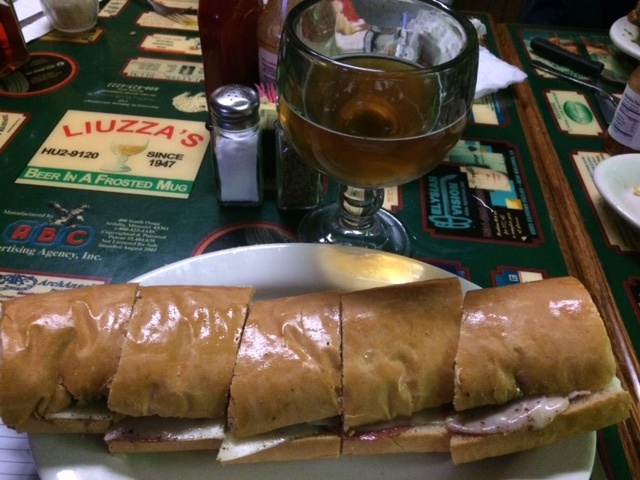 We went out to dinner, where I snarfed down a variation of a Mufeletta called a Frenchuletta. NOLA being nothing more than a really big small town, we met two other women they know and all ate together. We arrived at Chickie Wah Wah almost an hour late, plenty of time before the main show stared. The place was jammed. We heard some good original stuff, a superb double drum jam, and a seven-piece ensemble that did justice to all the Carpenter’s greatest hits in full reverb. It wasn’t Preservation Hall, but it was wicked fun.